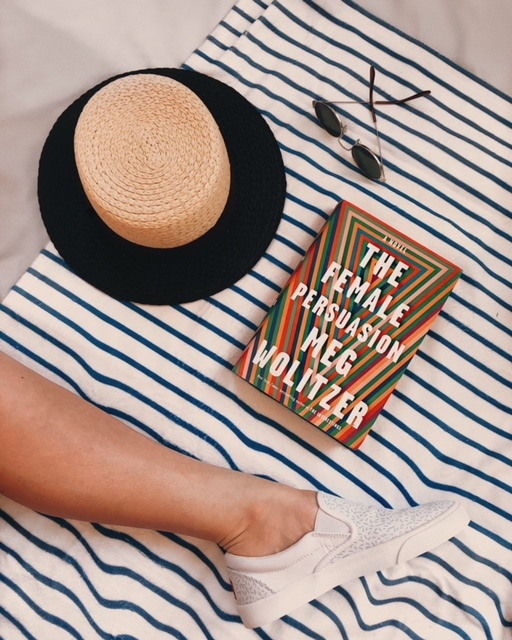 A Day in My Shoes: 10 Must-Read Books From Chicago Book-Lover, "The Spines"
We talked to Chicago Instagram influencer and book-lover Megan Prockott - aka "The Spines" - all about some of her must-reads lately. 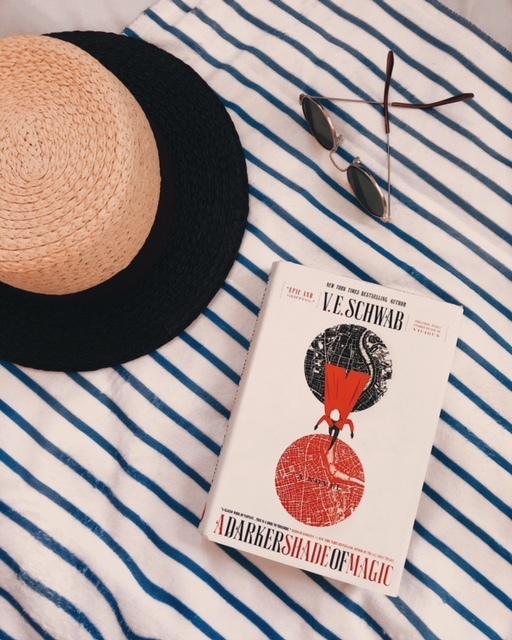 Here's a guest post she wrote featuring a few of her summer read recommendations worthy of bringing with you into the fall season and beyond. As I’m sure many of you noticed, it’s finally summer. And with a change in seasons comes a change in reading habits. 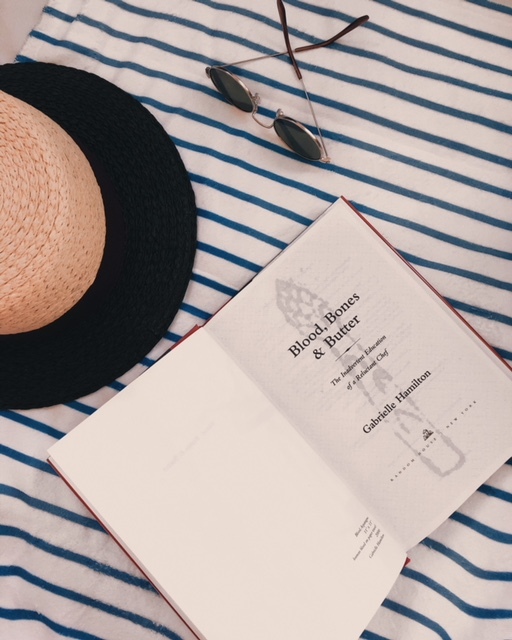 What else is one to do while spending languid hours on a beach towel or during summer nights in front of the bonfire besides reading a great book? So, without further ado, here are ten tried, true, and reviewed titles that are bound to keep you warm this summer. P.S. Like my shoes? They’re called "UFO-No" and were designed by Blake Jones out of my beloved Chicago, IL from Bucketfeet! Towel: "Wake" by Phil Jones. This book is for those of you who want to be swept away to another world entirely. I call this type of reading Fantasy Lite, because it involves magic and unfamiliar languages, but it also reinvents London and touches on family dynamics in a very relatable way. A Darker Shade of Magic is a young adult series that almost anyone can get into. Perhaps you saw the movie in theaters a few months ago or noted the indie flick’s well-earned presence at the Oscars. But even if you haven’t had a chance to sit down with Armie Hammer and Timothee Chalamet yet, you’re in for a treat. 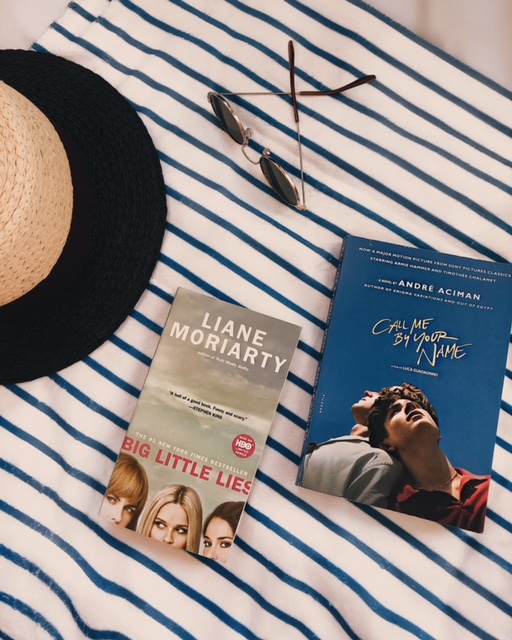 Full of beautiful prose and moments that will make you put down the book and reflect on your own relationships, Call Me By Your Name is a stunning way to escape to Italy and celebrate Pride all summer long. What’s better than reading a book and talking about it with friends? Reading the book, then watching the spectacular show adaptation starring queen of the world, Reese Witherspoon, with friends! Big Little Lies is a great show made from an even better book. Practice your Aussie accent, then hop into this book filled with gossip, mystery, and dreamy friendships. If you’re in the mood to laugh really hard and learn a thing or two about space while you’re at it, you’re going to love The Martian. Written from the perspective of an astronaut left behind on Mars, our main character must survive with only his wit and intelligence. Since he has plenty of both, this book is a joy to read and makes for a perfect travel day book! 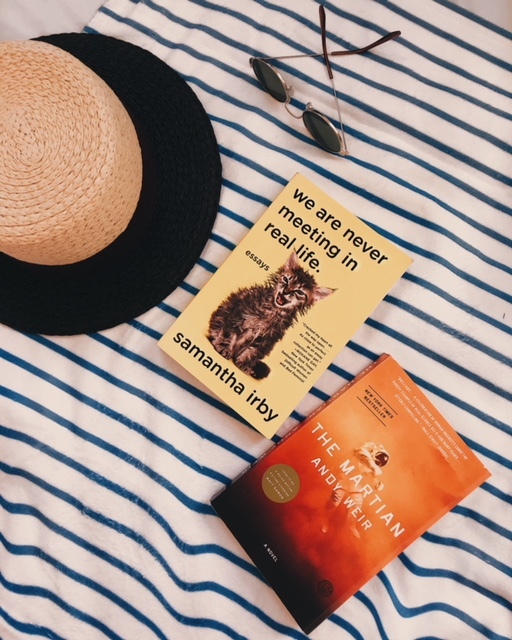 One of my most recommended books of all time, We Are Never Meeting In Real Life is Samantha Irby getting as real as someone can get. Prepare yourself to laugh at everything from Irritable Bowel Syndrome jokes to “I’m a black woman in rural America” comedy and know that you’ll want to go out and buy the rest of her books when you’re done. Towel: "Wake" by Phil Jones. | Bucketfeet: "UFO-No" by Blake Jones. This recently released tome is well on its way to becoming a touchstone in the feminist literature category. It is filled with layered characters who have all different perspectives of feminism in a modern world and who also have complicated relationships with each other. Read this book if you want to immerse yourself in female empowerment and also become invested in the lives of our four main characters. 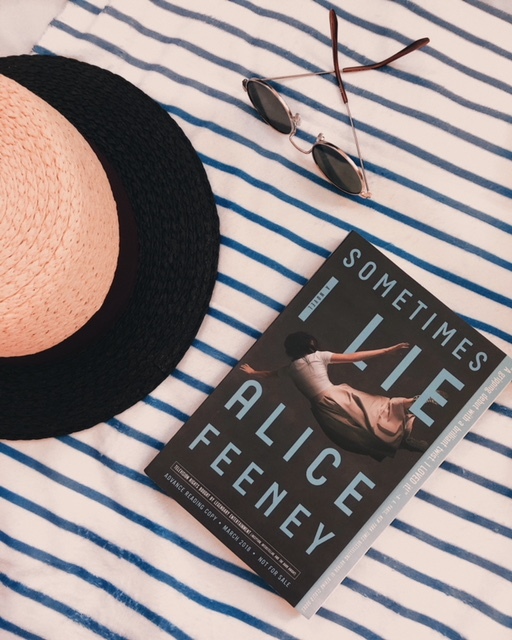 What is summer without a hair-raising thriller to binge read? This one has been one of my favorites this year, as it has an insane twist, an unreliable narrator, and shocking moments abound. Note that this book does contain distressing themes, so if you’re sensitive to those it may be best to choose a different book on this list! 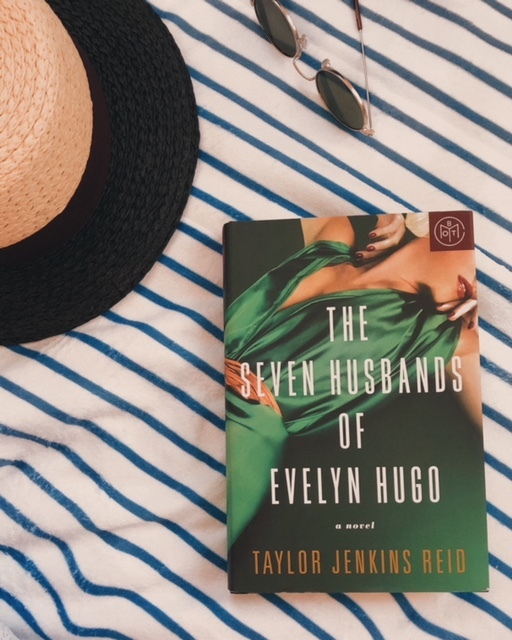 Not only is this book spectacularly written, but it also tackles many a taboo subject with the grace and ease mirrored by our main character; a vintage Hollywood movie star named Evelyn Hugo. If you’re in the mood to be swept away into another time, cheer on a strong female, and shed a tear or two, this is your book. For those of you who worship summer for the extra hours of light in front of the barbecue or the nice weather to burn off all the sweet treats you’ve whipped up in the kitchen, this memoir is all you. Gabrielle Hamilton has an interesting childhood, a scandalous young adult life, and an inspiring adulthood, despite it all. Get elbows deep into her latest culinary creation, into her relationships, and into her thriving NYC restaurant with James Beard award-winning Blood, Bones, and Butter. This four-book series is one I have gone back to every summer for the last five years. 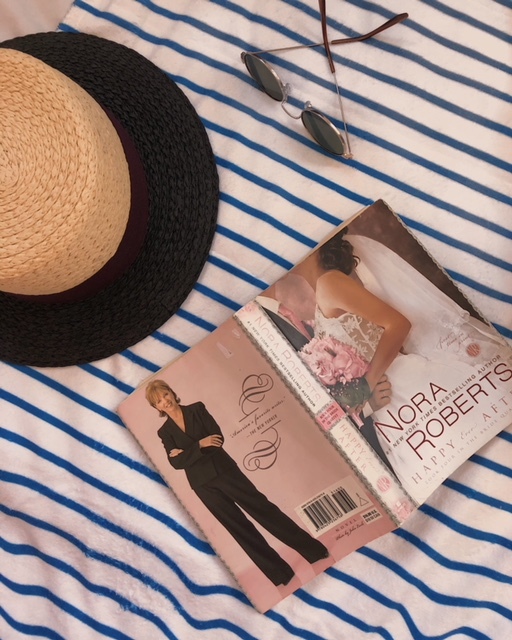 Somehow, nothing else sings "beach day, hammock afternoon, and vacation reads" as much as this Nora Roberts creation. The Bride Quartet is a well-written contemporary story of love, family-like friendships, and stunning, over the top, perfectly-executed weddings. How can you say no to that? ?